Condition Details: Taken from a working environment. 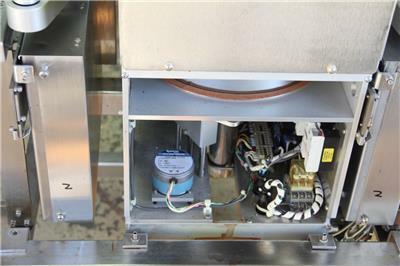 This is a heating element for a SierraTherm wafer production line. This item heats up to 250 degrees C. This item has a robotic arm with air vacuum end effector. 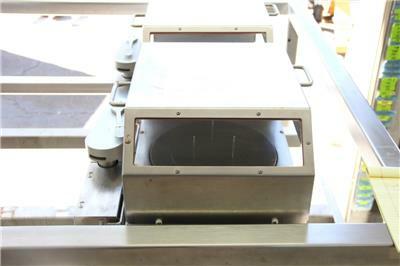 From the end effector the wafer is handled onto three prongs that come out from the heated plate. These prongs then lower the wafer onto the heated plate for photoresist drying. This plate is covered for a baking apparatus. This plate measures 9" in diameter, this allows you to adapt the piece for multiple wafer sizes. 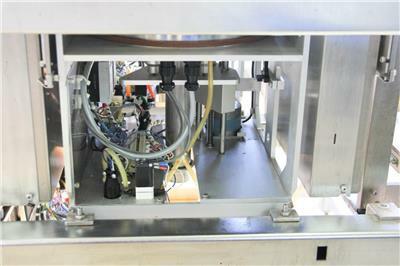 Description: This is a heating element for a SierraTherm wafer production line. This item heats up to 250 degrees C. This item has a robotic arm with air vacuum end effector. 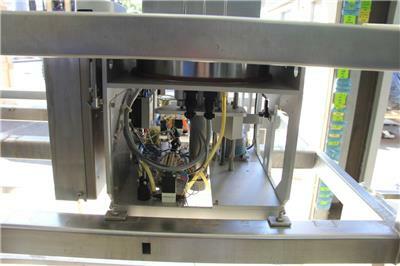 From the end effector the wafer is handled onto three prongs that come out from the heated plate. These prongs then lower the wafer onto the heated plate for photoresist drying. This plate is covered for a baking apparatus. 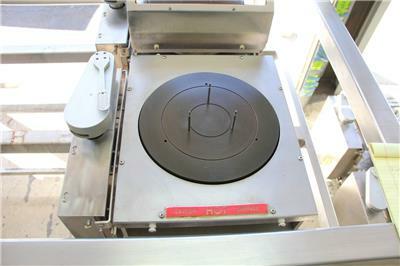 This plate measures 9" in diameter, this allows you to adapt the piece for multiple wafer sizes. Defects: Cosmetic wear present, no damages. No chill plates.